I love perfume, there is no secret there. I’ve written before about it: here, here, here and here. I also worship my two copies of ‘Perfumes: The Guide’ (by Luca Turin and Tania Sanchez) like they’re religious tomes. Even though I am happy to make my own opinions about perfume, all of those I already owned before I bought the book are highly rated by them, so perhaps we have similar tastes. Some of these perfumes originally started out with the B Never Too Busy To Be Beautiful part of the company, which no longer exists as a separate business. 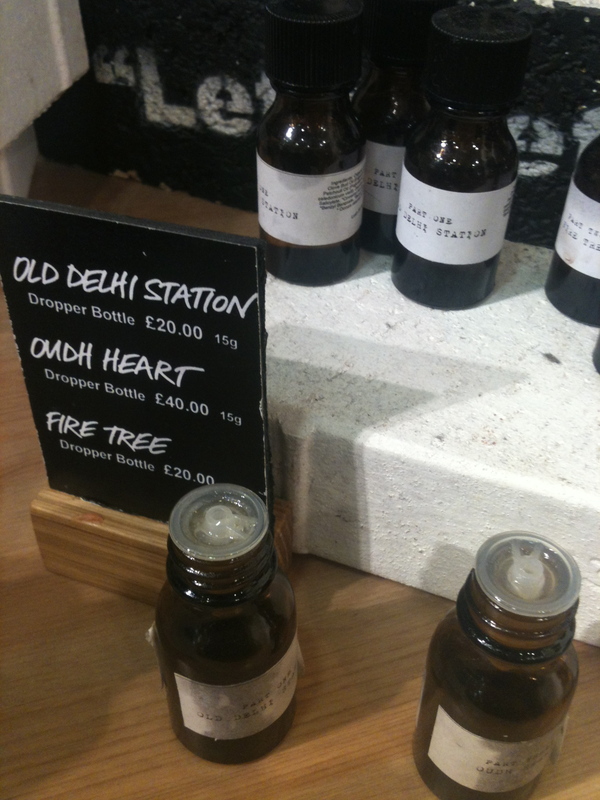 Thankfully, the perfumes moved across to be part of the Lush business and are available online or in larger stores. In this blind perfume testing, there were three standout fragrances: Breath of God, The Smell of Weather Turning (which has an incredible minty note alongside oak and grassy smells) and the Smell of Freedom. These are complex,multi-layered perfumes, unlike anything I’ve smelled anywhere else. I bought Breath of God and have worn it every day since. It still catches me out as it dries down. Amazing. It has an incredible five star review in the Turin & Sanchez book too. ‘Wearing it, I feel a sense of wonder that so late in the perfume game there can still be such a profound invention’ Tania Sanchez. 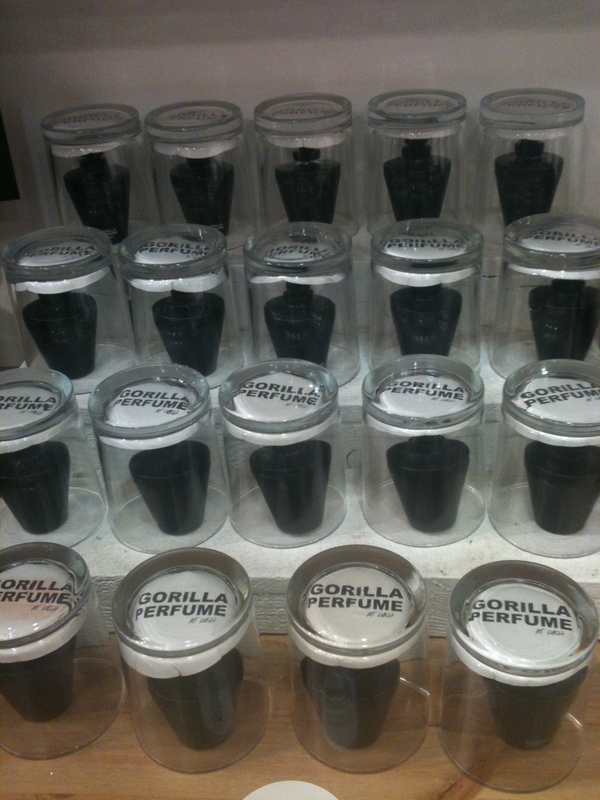 What I utterly love about the Gorilla perfumes (aside from the lack of fancy packaging showing me great perfume is not about the bottle) is that you can buy different parts. 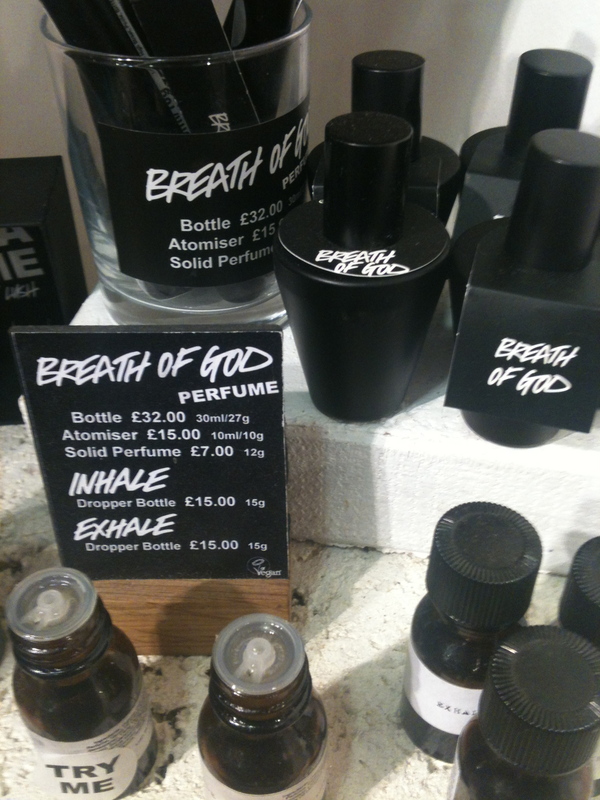 So, Breath of God can be bought as Inhale and Exhale – which you can wear individually or together. Even more exciting is the triptych of perfumes making up The Smell of Freedom. This is really a perfume journey like nothing you can get in mass market department stores, no matter how much budget you have. Part One: Fire Tree, a warm and woody herbal perfume, with Australian influences from lemon myrtle and fir tree oil. This part is inspired by an Australian Aboriginal artist. Part Two: Old Delhi Station, again a warm perfume but with a spiciness to it and a feeling of incense. Inspired by a journey made across India to meet an exhiled Tibetan Monk, this contains sandalwood, jasmine, black pepper and patchouli. Part Three: Oudh Heart, my favourite of the three individual parts, this is inspired by a remarkable man called Sami, imprisoned in Guantanamo Bay without trial, he was freed as a result of work by Reprieve and Lush. This part is full of oudh (one of my favourite ingredients) sandalwood, cedar and orris root. Again, the three can each be worn individually or layered together. It’s the closest many of us will come to really getting a glimpse into the art of perfumery as well as the inspiration behind a fragrance. Lots more about the story behind these perfumes can be found on the Lush website. I am enchanted by them and I really do urge you to go to your nearest (large) branch of Lush and try them for yourself. I’ve been looking for a perfect perfume that will suite to my personality. It is a great help on determining what scent really fits for me and to my personality. The breath of God perfume is interesting. Based to its name. Thanks for sharing this interesting info Elizabeth!